Home > Auto Racers > Al Unser Jr.
Al Unser, Jr., was born on April 19, 1962 in Albuquerque, New Mexico. Al Unser, Junior is an American race car driver and two-time Indianapolis 500 winner. Al Unser, Jr. was born into a racing family. He is the son of Al Unser, Sr. and the nephew of Bobby Unser, who both won the Indianapolis 500 themselves. By the age of 11, Al Junior was racing sprint cars. After high school, he was already in the World of Outlaws series of sprint car racing. He soon moved into road racing, winning the Super Vee title in 1981 and the Can Am title in 1982. In 1982, Al Unser, Jr. made his debut on the CART circuit. A year later, he competed in his first Indianapolis 500, finishing tenth. Unser continued racing on the CART circuit, becoming one of the series' rising stars. He finished second in the CART championship point standings in 1985, losing to his father by just one point. 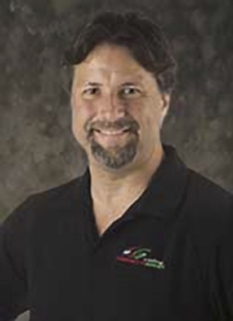 He began competing in the IROC championship in 1986, winning that championship with two victories in four races. At the age of 24, Unser was the youngest IROC champion ever. Unser won the 1988 and 1986 IROC championships. Unser won the 24 Hours of Daytona, also at age 24. Unser continued to improve on the CART circuit, finishing fourth in the points standings in 1986, third in 1987, second in 1988 and finally winning the series for the first time in 1990. In 1989, Unser was on the verge of winning his first Indianapolis 500, but while battling with Emerson Fittipaldi for the lead, the two touched wheels and Unser spun out, hitting the wall and ending his chances. Unser would have his day at Indy in 1992, however, defeating Scott Goodyear by 0.043 of a second, the closest finish in Indianapolis 500 history (as of 2007). During the off-season he drove in the 1993 Daytona 500 for Hendrick Motorsports finishing 36th in what would be his only NASCAR start. He ran well in the race. Running with the lead pack all day, until a late race crash. Penske PC-23 driven by Al Unser, Jr. in 1994.In 1994, Unser again won at Indy, this time with Penske Racing. His teammate was Emerson Fittipaldi, the man whom he battled with five years before. Unser turned in a dominant season-long performance, winning eight of 16 races on his way to his second CART championship, as well as being named ABC's Wide World of Sports Athlete of the Year that year. 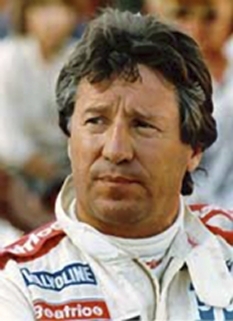 In 1995 he shockingly failed to qualify at Indianapolis, and he would later point to this as the trigger event for his descent into alcoholism and the breakup of his marriage. He would finish second to Jacques Villeneuve in CART championship points in 1995, but after finishing fourth in 1996, 13th in 1997, 11th in 1998 and 21st in 1999, (not helped by the fact that he had to sit out two races after breaking his leg in the season-opener at Miami in a first-lap accident with Japanese driver Naoki Hattori) Unser would eventually leave CART to join the budding Indy Racing League for the 2000 campaign. Unser won a total of 31 races during his 17 seasons in CART. 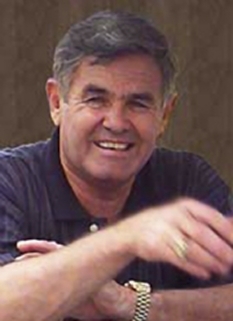 Al Unser, Jr. won his first IRL race that same season at Las Vegas. Unser would go on to win a total of three races in his IRL career, but after breaking his pelvis in an all-terrain vehicle accident in October of 2003, Unser had difficulty securing a ride for the 2004 season. 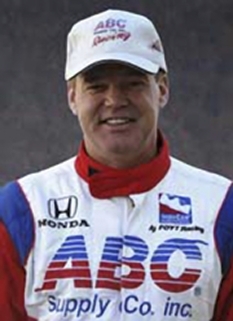 He finally signed with Patrick Racing three races into the season, but after a 22nd-place finish in Richmond, Al Unser, Jr. finally announced his retirement from racing on June 30, 2004. Unser continued to remain involved in racing, however, outside of a racing capacity. He served as an adviser for Patrick Racing and worked as a mentor for his son, Alfred Unser, who is currently working his way through the lower ranks in open-wheel racing. Practicing for the 2007 Indianapolis 500In 2006 Unser announced that he would come back to racing again and he would run the 2006 Indianapolis 500, teamed with fellow former winner Buddy Lazier for Dreyer & Reinbold Racing. This came just days after Michael Andretti also came out of retirement to run the 500. Unser qualified 27th in the 33-car field, and consistently ran in the upper half until a crash ended his day. In late August, Unser took part in an A1 Grand Prix test session at Silverstone. On 2 May 2007, it was announced that Al Unser, Jr. would drive a car for racing legend AJ Foyt in the 2007 Indianapolis 500, carrying the No. 50 on his car in recognition of A.J. 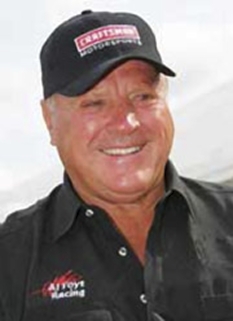 Foyt's 50 years at the storied race. Unser qualified in the 25th starting position after being bumped from the lineup on the second day of qualifying. DISCLAIMER: PFP Sports Talent Agency does not claim to represent itself as the exclusive agent for Al Unser Jr.. PFP Sports Talent Agency is a booking agency that represents organizations seeking to hire pro athletes and sports personalities such as Al Unser Jr. for speaking engagements, personal appearances, product endorsements and corporate entertainment. Fees on this website are estimates and are intended only as a guideline. Exact fees are determined by a number of factors, including the location of event, the talent’s schedule, requested duties and supply and demand. PFP Sports Talent Agency makes no guarantees to the accuracy of information found on this website and does not warrant that any information or representations contained on this website will be accurate or free from errors. We are often asked how can I find out who is Al Unser Jr.'s agent? To find Al Unser Jr. appearance fees and booking agent details, you can contact the agent, representative or manager through PFP Sports Talent Agency for speaking fee costs and availability. PFP Sports Talent Agency can help your company choose the ideal sports personality for your next marketing campaign. To hire Al Unser Jr. for an appearance, speaking event or endorsement, contact Al Unser Jr.'s booking agent for more information.